Autumn Crafts: No leaves? No problem! Sunset over the Atlantic Ocean…on the East Coast of the US! Whoa! Who thought an Atlantic sunset was possible from the east coast? We’re celebrating summer in Cape Cod, collecting shells, fishing and doing LOTS of bike riding. The paved bikeways are incredible, moving Claire up to a geared bike helped us have the most amazing adventure. Continue reading Sunset over the Atlantic Ocean…on the East Coast of the US! External link to Do eagle chicks chirp and peep? Do eagle chicks chirp and peep? You too can spend your morning gawking at your computer screen, ooohing and aaahhhhing as mama eagle feeds her chicks. The amazing webcam has been set up by Pennsylvania Game Commission’s website. This is the eagle who was all over the news a few weeks ago, thousands tuned in to watch her stoically sit on her eggs while the snow rose higher and higher. The … Continue reading Do eagle chicks chirp and peep? I am so delighted by these process-oriented Valentine’s cards created for Claire’s beloved classmates! 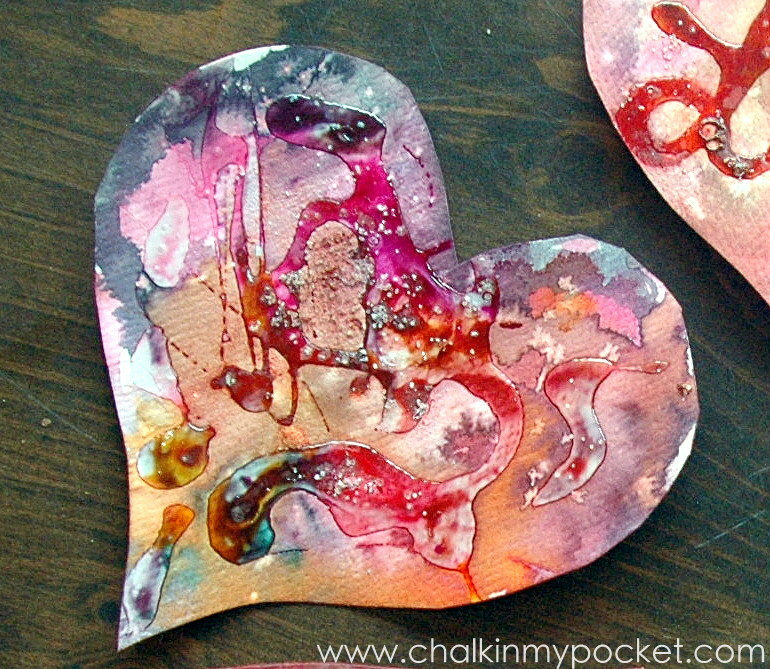 We made some marbled paper with shaving cream and liquid watercolors, Claire wrote sweet notes on scrap paper and then together, we folded the whole thing into a simple origami heart envelope.